He remembers vividly the day his village was attacked by the ISIS, seeing them arriving heavily armed. With his family, he left the house in a hurry and headed to the border with Turkey. There, they were loaded into tracks and brought to a refugee camp in Suruc. All the way he was crying, scared and worried about his house. Remembering makes him cry again. His father has gone back to see for himself and told him everything is destroyed. But, there are people returning, and the town will be built again. 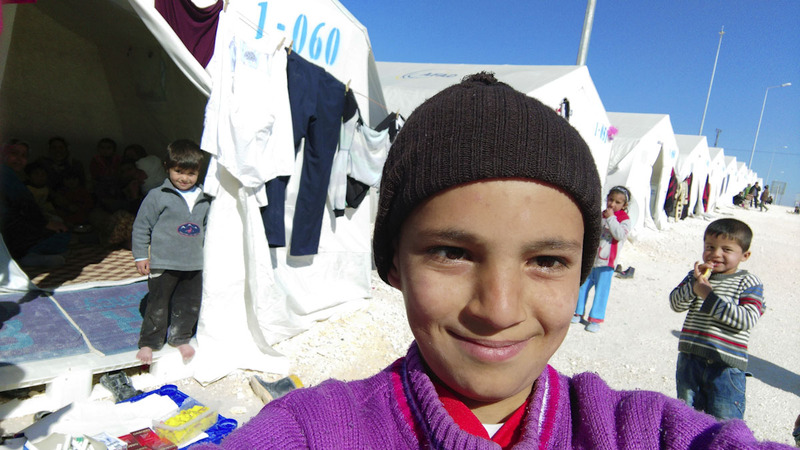 When given the smartphone and asked to take a selfie of himself, a smile appears in his eyes, a light of optimism, thinking about his return to Kobane.